the journals are dominated by non-Finnish researchers. The reason for this kind of interest is due to early findings that pointed towards xylitol being an effective treatment/inhibitor of dental caries. Dental caries is the scientific term to describe tooth decay or cavities. It is caused by specific types of bacteria that produce acid that destroys the tooth’s enamel and the layer under it, the dentin. The bacteria turn sugar and carbohydrates in the foods we eat into acids. The acids dissolve minerals in the hard enamel that covers the tooth’s crown. The sugar in Xylitol cannot be digested by bacteria and thus stops acid being produced! 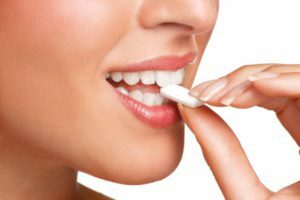 Before we tell you the best xylitol chewing gum that you need to consume we want to give you all the details so you know if it will really help you with cleansing your mouth. 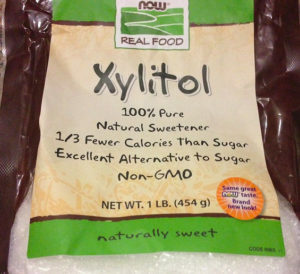 Xylitol is a 5 carbon sugar polyol which was discovered a century ago. It is found in vegetables, fruits and berries as well as being produced artificially by using birch and beechwood plant materials. It has a crystalline, granular structure similar to sugar, and is just as sweet but Unlike sugar and many other substitutes, xylitol is clinically proven to benefit the mouth by preventing cavities and reducing the onset of gum disease. It is globally accepted as a natural sweetener and approved by the Food & Drug Administration (FDA) and the American Academy of Pediatric Dentistry. In the early 1890s, scientists named Fisher and Stahe who were from Germany discovered the 5-carbon sugar, and funnily enough was simultaneously discovered by a scientist named Bertrand in France. For the first half of the twentieth century, xylitol remained a research compound. As mentioned before Finland is the home land of xylitol as some would say. 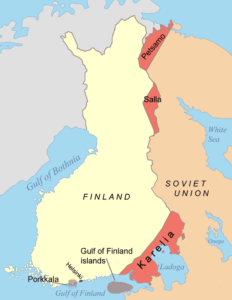 This came about because during world war II Finland suffered major sugar shortages and decided to use xylitol as an alternative without really knowing the great dental benefits it was providing. In the early parts of the 1970s it was the Finnish scientists who made the first breakthrough discovery at the university of Turku. They found xylitol could affect the bacterial composition in the mouth and several studies later they came to the conclusion that it could indeed reduce cavities. This led to the worlds first Xylitol chewing gum being launched in 1975. Nowadays, not only do Finnish adults consume large quantities of xylitol products but also around 90% of Finnish kindergartens offer xylitol sweets to all children on a daily basis. 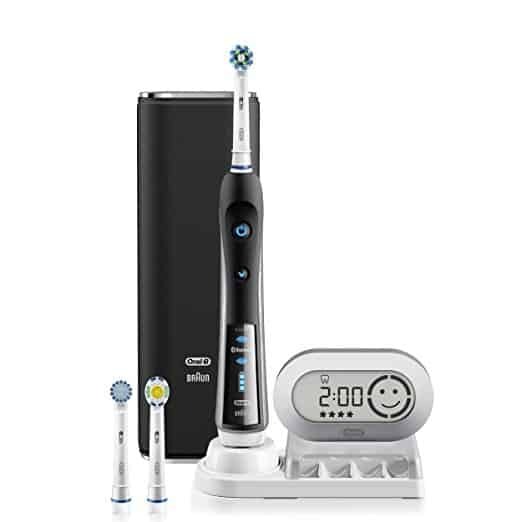 This means that school kids are getting into healthy dental habits from a very early age. 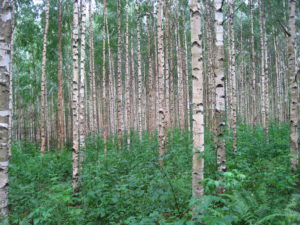 On the industrial scale, xylitol is produced from birch trees or corncobs with many preferring corncobs due to the lesser environmental impact it has compared with chopping trees down. In the general market, xylitol is placed into products that are used for improving health such as toothpastes and sinus cleansers. The most common place for it to be found is in chewing gums and hard candy and nowadays customers can buy it in its raw form, the same as buying sugar. Quite a few dental places encourage patients to use xylitol and even hand out samples of products to try out. Xylitol lowers the levels of Mutans Streptococci (MS) in plaque and saliva by disrupting their energy production mechanisms leading to reduced energy consumption and eventual cell death through starvation. 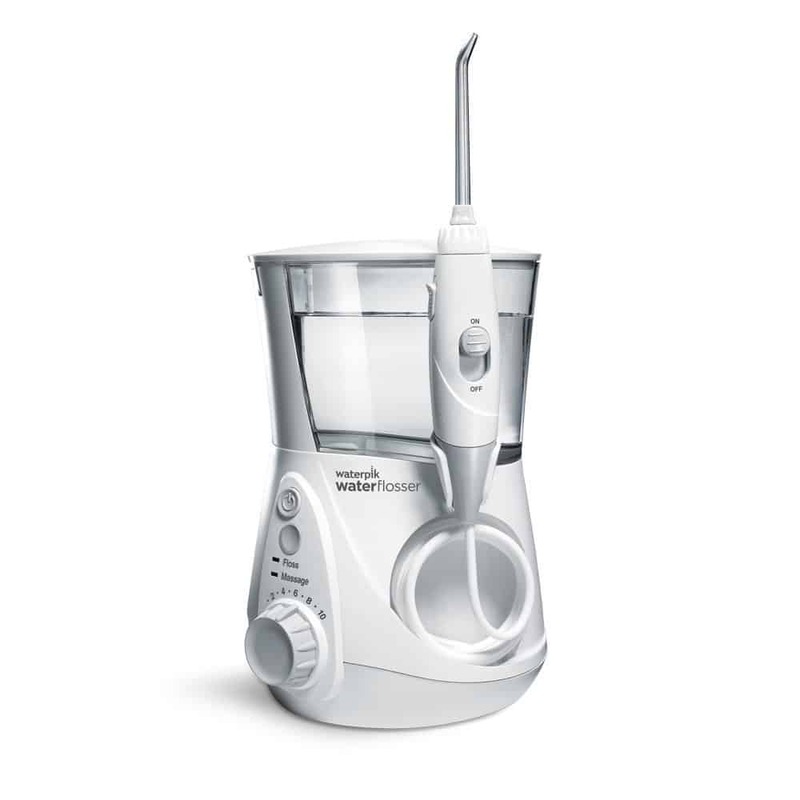 It also stops microorganisms from attaching to the teeth and reduces their acid production rate. The great ability of xylitol is that is cannot be digested by plaque bacteria and there is a decrease in levels of MS, as well as the amount of plaque when xylitol is consumed on a daily basis. Not to forget the fact it also promotes remineralization of teeth by increasing the saliva flow around the mouth and also increases the pH levels inside the mouth. In a study carried out in 1995 the plaque samples of habitual xylitol users showed a drastic reduction in plaque adhesiveness and insoluble extracellular polysaccharides produced by S. mutans when compared with those who did not consume xylitol at all. Xylitol is tolerated really well by the human body as a sweetener but in the small intestines the rate of absorption is really slow. If consumed in large quantities it can cause diarrhoea. This tells us that there is a limit to how much the body can take before it starts harming us. So what is the optimal level required? 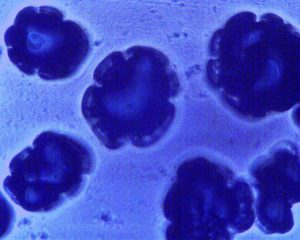 To effectively inhibit Mutans Streptococci you need a dosage of 5-6 grams per day spread out over three to four times per day. The main way xylitol is consumed by people is through chewing gum. I had no idea 3-4 years ago that gum contained xylitol, it was only a year ago that I found out why they have the dental association logo on the packets. Weirdly that was the reason I increased chewing gum from once every day to, 3-5 times now. I feel it does make a difference, my mouth feels cleaner and fresher after chewing some gum. Chewing gum also accelerates the process of washing away the acid on the teeth and uptake of beneficial calcium phosphate molecules to remineralize tooth enamel. YES! Xylitol actually has the ability to remineralize teeth. Why is that important? Remineralizing teeth actually makes for stronger teeth. Also, it works as well as fluoride in helping to strengthen teeth. The recommended length of time for chewing after eating is approximately 20 minutes according to some studies. If you haven’t already, please start chewing some gum containing xylitol because there are great benefits to it. It also takes 3-4 weeks of daily consumption to see a drastic reduction of salivary and plaque S.Mutans levels. We spoke about the optimal level required for maximum effectiveness was between 5-6 grams but going higher than 10 grams has been proven to be non beneficial in terms of removing more bacteria. What If I Dont Like Chewing Gum? If you have children and want them to start consuming xylitol, start giving them a handful each day or until you have reached the optimum level which is 11.7 grams per day. 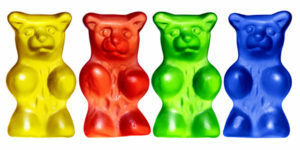 Adults can consume gummy bears as well. We said children because it’s targeted for that demographic. Chlorohexadine mouth rinses are the most effective mouth washes going around but recent studies have suggested that by adding xylitol to this mixture you kill more of the bad bacteria in the mouth. 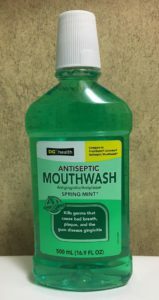 This finding has led to more mouthwashes with a combination of chlorohexadine/xylitol and has the ability to help patients who are at risk of high cavity formations. More companies are realising the powerful effect’s xylitol has on oral bacteria and are producing toothpaste containing xylitol in it. Synergistic use of xylitol with small doses of fluoride ions helps in caries control and avoiding contact of fluoride with tooth enamel during stages of mineralization. Chewing gum however is the preferred way of getting the benefits of xylitol. But whatever you decide to choose, you must use it continuously so the teeth have long-term exposure to xylitol for it to be effective. 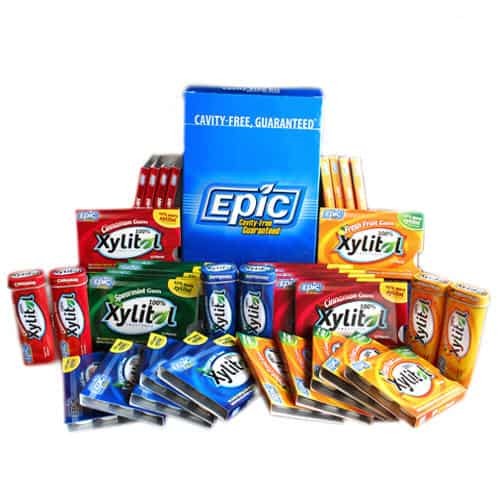 There are quite a few brands out there but we have picked out Epic Gum as the stand out place to buy all your xylitol products. What makes them stand out from the competition is the high amount of xylitol in their gum. It’s 1.02 grams per piece which is the highest of all the brands. This means that you only need to take 6 pieces gum per day to get the 6 grams of xylitol for it to be effective. They also have mints, toothpaste and mouth rinses if your not too keen on chewing gum and there’s a variety of flavors to choose from making sure you never get bored. This particular brand of chewing gum also holds the flavor much longer than any other brand with some customers saying they can still taste the flavor 30 minutes after first chewing it. Prices start from $5 for a 50 piece bottle all the way up to $70 for a big bag containing 1000 pieces. Now that we have established how much xylitol you need to consume to combat cavities, lets talk about the frequency at which you should be taking them. Use a piece of gum after each meal and snack and make sure you use it for 20 – 30 minutes to get the most out of it. You can also reach for a mint or piece of gum when you normally would throughout the day, like when you’re driving, shopping at the grocery store, or working. When it comes down to it, just make sure you’re getting enough xylitol. If you can’t follow a perfect schedule, it’s okay. Just do your best to get 6 grams a day and you’ll see the benefits! 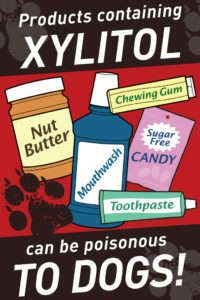 xylitol may pose a risk to your pets, especially DOGS. If you suspect your dog has ingested xylitol, contact your veterinarian immediately. No doubt xylitol has tremendous benefits as stated above, it contributes to the extermination of various bacterial population that reside in the mouth and not to mention its ability to increase pH levels to stop the mouth being in an acidic state and thus stopping enamel erosion. Chewing gum is the preferred method of choice for the majority of people but there are alternatives such as toothpaste, mouth rinses and other sweet products to choose from. If your someone who like chewing gum then switching over to xylitol based gums is a no brainer, your teeth will be in a much better place and your breath will be smelling fresh all through the day. Just make sure to get 6 grams per day and that means chewing on 6 pieces if you buy a high dosage gum brand which we have already recommended. Link is above if your interested. I think we have covered everything in this post about xylitol but if you have any lingering question, please leave a comment below and we will get in touch with you. Quite an interesting article about xylitol never knew there were so many advantages in killing oral bacteria. I would love to try some of that gum, but unfortunately here in SIngapore gum is banned. I would have to check if xylitol can be bought here in Singapore as well but overall very insightful article. Gum is banned in Singapore, what’s the reason behind that. If it’s banned then you can use other products such as toothpaste, mouth rinses and even xylitol sweetener. 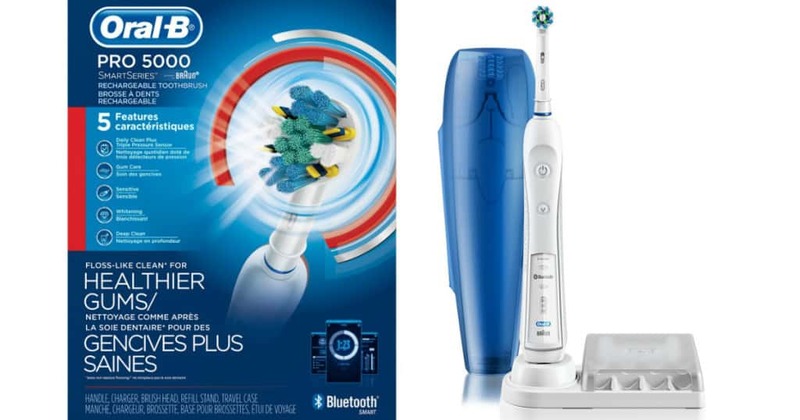 They all work effectively in controlling harmful levels of bacteria in the mouth. Interesting article, who knew that Xylitol originated in Finland, must be all those Birch trees available to supply the raw material. I didn’t know that Xylitol could inhibit dental caries and help with the re- mineralization of tooth enamel. Good to note that you need to chew on gum for 20 minutes after eating food to get the benefits. I need to try some. yes there are a huge number of birch trees available in Finland which is why they can produce large quantities of xylitol based products. It helps fight dental caries by reducing the number of bacteria in the mouth and increases the saliva production which in turn helps with the remineralization procedure. 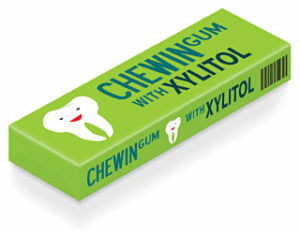 You should try some xylitol chewing gum but make sure it has a high concentration otherwise it will be useless. Wow, for someone that always had problems with his teeth this is absolutely priceless information. In fact, I am going to buy some gum now. Does it also help with gum disease or do you have something else? I have had gum problems as far as I can think back and unfortunately, dentists aren’t cheap. I tried oil pulling for a little while but it just was more painful on my jaw then seeing a benefit with my teeth. Oh and I just found an article on your page. thank you very informative page. Xylitol does not have much affect against any gum related problems, it’s more focused on lowering the number of bacteria and mineralization of teeth.